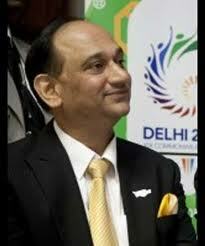 The Delhi High Court Friday granted bail to former Commonwealth Games Organising Committee official T.S. Darbari, who was arrested for his alleged involvement in the Queen’s Baton Relay scam. Justice Hima Kohli granted Darbari bail as the CBI was unable to file a charge sheet against him within the stipulated 60 days of his arrest. Darbari, a former aide of organising committee chief Suresh Kalmadi, was arrested Nov 15 by the Central Bureau of Investigation (CBI). The bail plea of M. Jayachandran, who too was arrested and sacked as the committee’s treasurer, is yet to be heard. He was arrested Nov 21 for making suspicious payments to an Indian-owned London-based private firm AM Car and Van Hire Limited during the Queen’s Baton Relay function in London. Advocate R.K. Handoo submitted before the court that his client Jaychandran should be granted bail on the ground that the CBI has been unable to file a charge sheet till date.